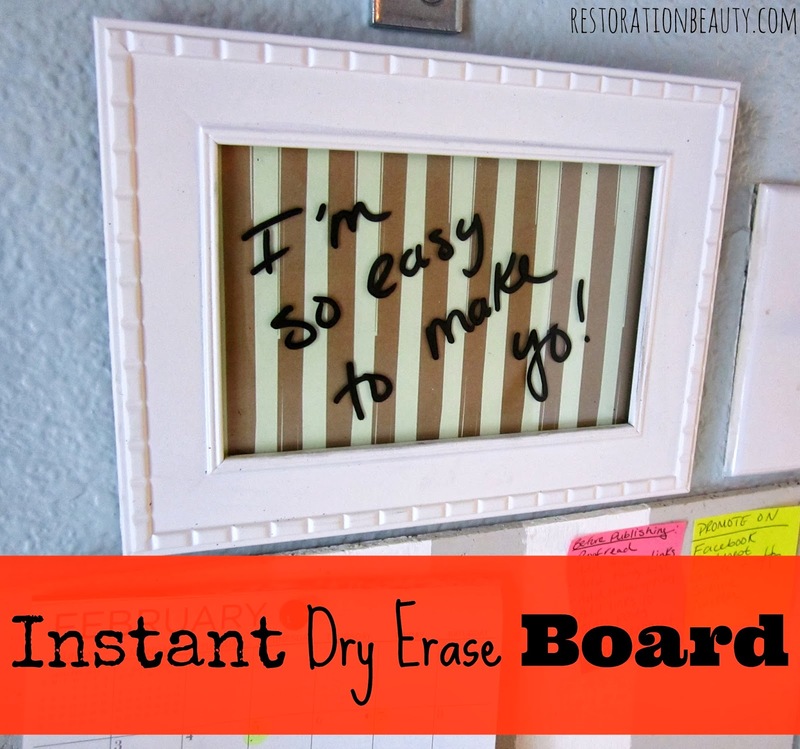 I totally could have skipped this post since I already blogged about a DIY Magnetic Dry Erase Board, but for the fun of it just humor me, okay? Beside, this one isn't magnetic so I have to address the difference in technicalities, you know? 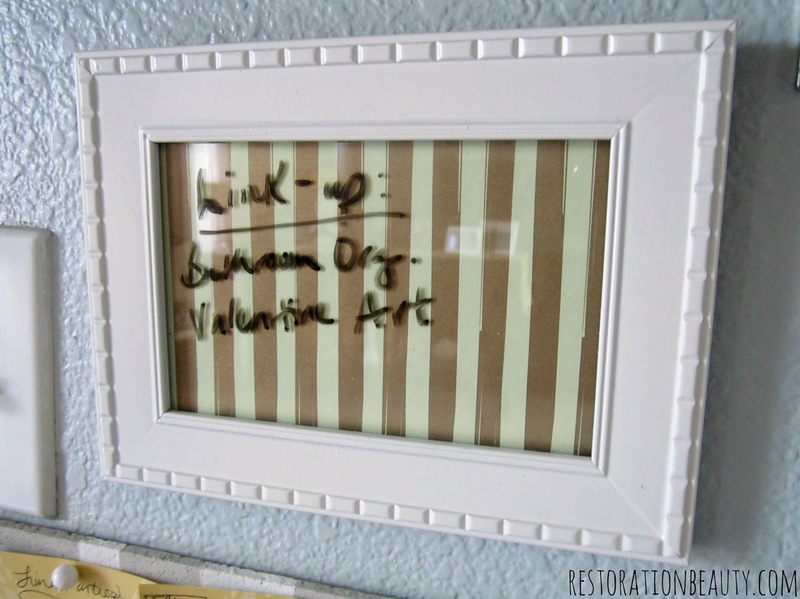 You may have noticed this mini dry erase board in my Office Space Reveal and when I showed you how easy it was to make those mini magnetic circles out of candle jar lids. So no, you're not experiencing dejavu. I just won't shut up about this space. 1. Find a pretty frame. I already had mine so I just took out the pretty little people that were posing inside of it and spray painted it white. Family Faces vs. Dry-Erase Board.....kind of obvious who won. 2. Find some pretty paper (gift wrap, postcards, scrapbook paper, design your own on white paper...endless possibilities). 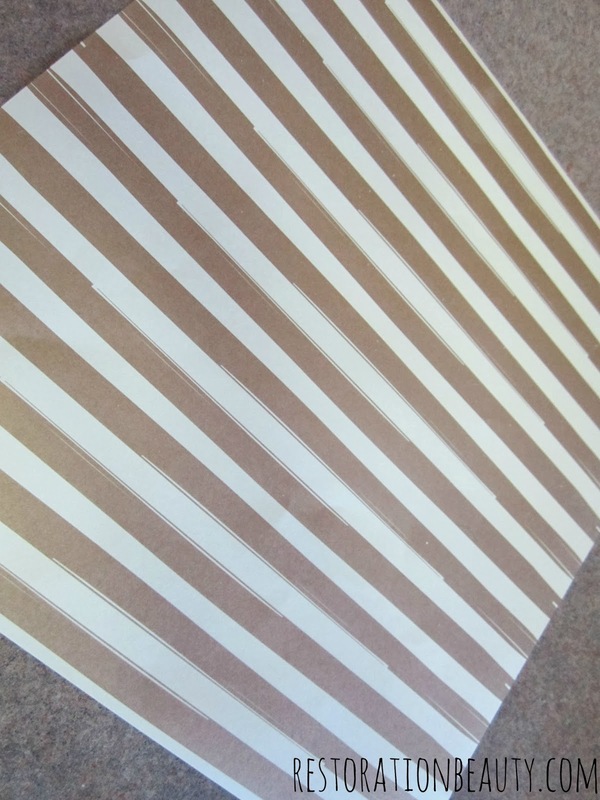 I used this craft paper I found at Target's One Spot and I'm totally loving the imperfect gold and cream stripes! 3. 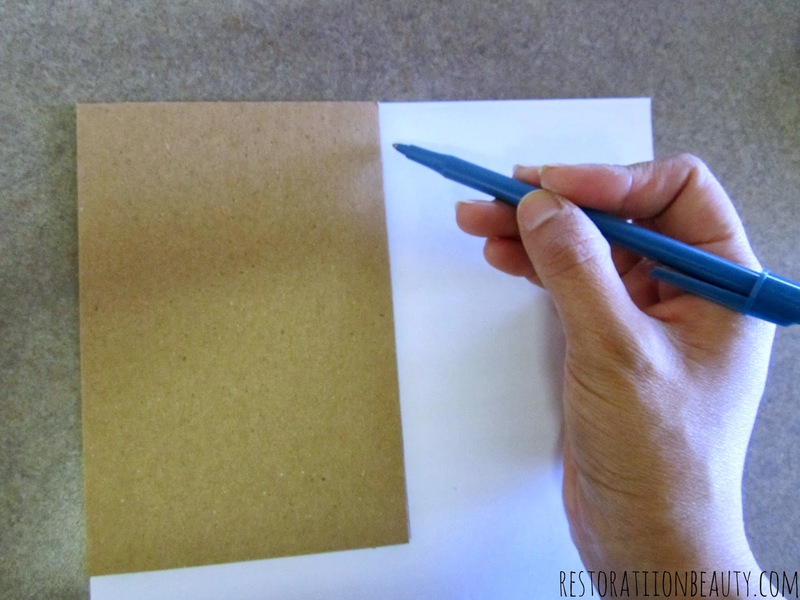 Cut your paper to fit your frame. I just used the cardboard piece that came with the frame as a guide. 4. Place the paper inside your frame and you are done, my dears. Feel free to get yourself some chocolate afterward because that was some serious work!! But get your chocolate anyway. You never need a reason for chocolate! 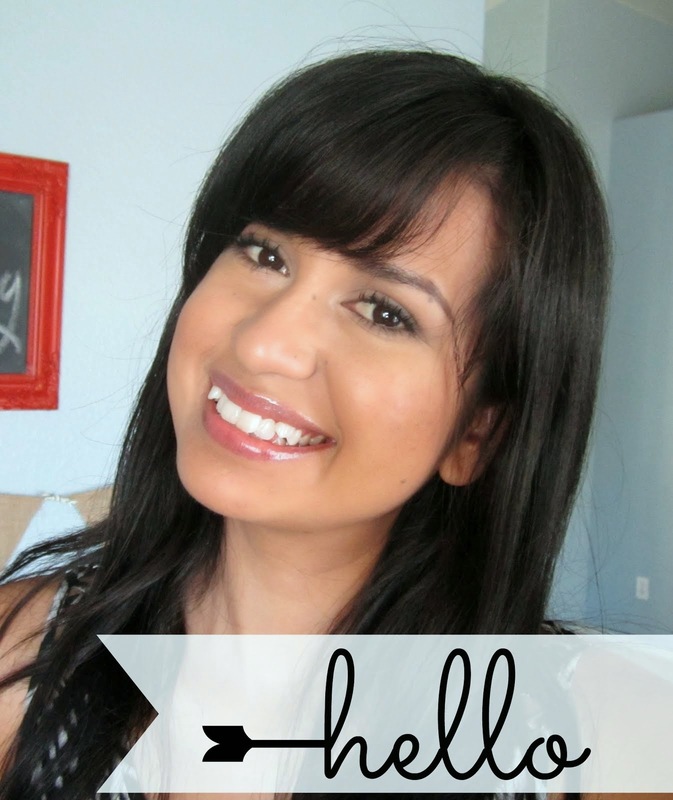 I'd love for you to follow Restoration Beauty and always be updated on all the DIY and beauty fun! Thanks, Meg! Its definitely nice having a space to work in! You know, this is a great idea! 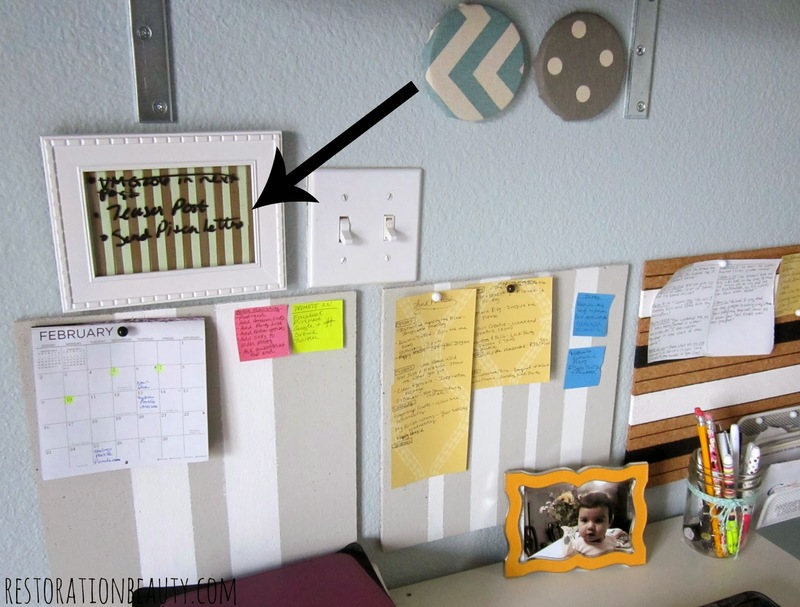 I usually put lots of post it notes on the cabinets in my kitchen to remind me of stuff, but this would be a much prettier solution! I even have a whole box of frames in the garage I'm not using. Thanks for the inspiration! I'm so glad you were inspired, Lisa! 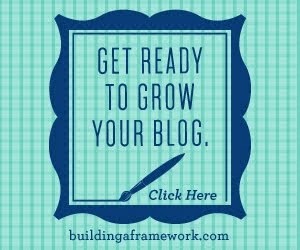 And you already have spare frames? Score!! Cute Cute Cute! 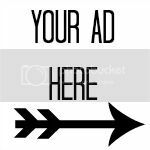 Found this on DIY Dreamer! That's a great idea, Christine!!! So simple, so lovely! I tried just a sheet of paper laminated on a notice board at work but it just doesn't wipe off so easy if it's been there a couple of weeks, looks a bit of a mess now to be honest. Maybe I need to get round to making a new improved glass version.